Write out the definition of herbs used in this module. Explain how this corresponds with your own definition before you started this program. You may choose to google other definitions to see what you come up with. Be sure to note your sources if you do this. ACHS President Dorene Peterson says that herbs are, “All those plant species, from the tallest tree to the smallest weed, that contain medicinal substances in harmony with the cellular structure of the human body and are capable of balancing the systems of the body to achieve and maintain wellness.” Also The American Heritage Dictionary of the English Language includes the following definition: "Any of various, often aromatic plants used especially in medicine or as seasoning." According to the Dorland's Pocket 28th Edition Medical Dictionary, herbs is: "Any leafy plant without a woody stem, especially one used medicinally or as flavoring." For me herbs are all those plants that have either medicinal or nutritional value to us or any animal that can benefit from them. I like to point out that for me this includes plants from lakes and the ocean. I also consider plants used for perfumes, cosmetics and incense as herbs as well. When I work with herbs, I prefer to wildcraft them, because I strongly believe that herbs that grow in their natural habitat tend to be stronger. I believe the herbs and other plants somehow share or effect one another when they share the same space. Also there's a reason why the herbs grows naturally where it does, and growing them in a alien garden next to other herbs it does not know as it's allies some how changes them. This is all based on hunches or shall we say intuition. Most of my knowledge of herb lore is based either on intuition or has been taught to me by others. It is my hope to polish my intuition with a healthy dose of more scientific training. 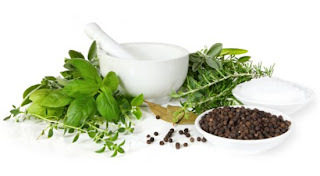 I feel you need a healthy combination of both intuition and science to be a good herbalist. REFERENCE:  Saunders. Dorland's Pocket 28th Edition Medical Dictionary. Philadelphia: Elsevier, 2009, pp. 392.